Italian Antipasto on garlic bread, all fresh herbs, spices and you will be loving the taste here. Using all fresh ingredients is key to making this appetizer outstanding. Actually orgin is from the 15th century in Italy. Grilled bread with garlic rubbed on the top drizzled with olive oil. There are numerous variations that you can top this with as suggested on the video. Mix and create new bruschetta by adding your favorite chopped vegetables, a variety of meats such as salami, pepperoni, capicola, prosciutto, sausage steak, chicken, seasfoods like shrimp, crab or lobster chunks, assorted kinds of cheeses and fresh herbs such as oregano, basil parsley, rosemary and dill. Always use the freshest ingredients. This style is what Italians call Insalata Caprese". The balsamic vinegar I used is 18 years aged and also used was a good grade olive oil. Both compliments this Bruschetta. Grilled bread with garlic rubbed on the top drizzled with olive oil. There are numerous variations that you can top this with as suggested on the video. Mix and create new bruschetta by adding your favorite chopped vegetables, a variety of meats such as salami, pepperoni, capicola, prosciutto, sausage steak, chicken, seasfoods like shrimp, crab or lobster chunks, assorted kinds of cheeses and fresh herbs such as oregano, basil parsley, rosemary and dill. Always use the freshest ingredients. This style is what Italians call Insalata Caprese". The balsamic vinegar I used is 18 years aged and also used was a good grade olive oil. Both compliments this Bruschetta. Toast the bread add the cheese, tomato and basil, drizzle the tops with olive oil and vinegar. Season to taste. 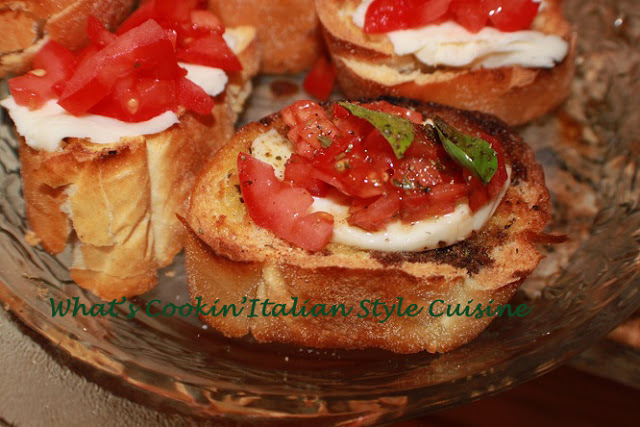 This is my favorite kind of bruschetta! 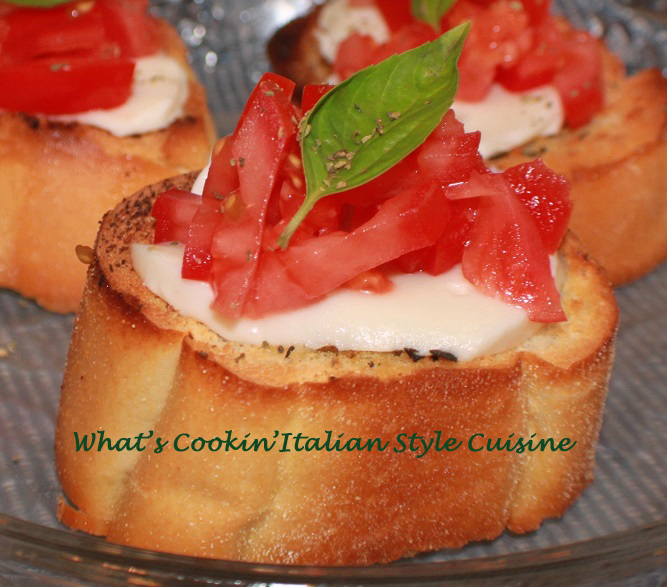 Simple quality ingredients make for the best summer appetizer!! !